Sweet is the beet. 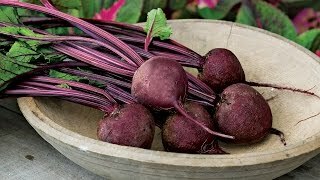 When it comes to beets, the earlier the better. 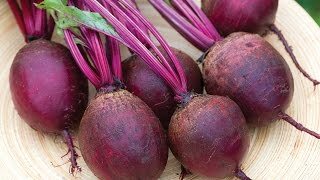 A dual-purpose beet, with sweet, early-producing, 3-4" roots and extra tall and flavorful tops for harvesting as greens. Cut the 18" tall greens, and use in lieu of spinach, kale or chard. Beets also freeze well, which is cool. Since the roots develop and mature over an extended period, there's no need to successively sow seeds. Beet, Early Wonder Organic is rated 5.0 out of 5 by 1. Rated 5 out of 5 by WC Rancher from We love the Early Wonder's... We grow them year round at 8,000 ft in a dome greenhouse. Delicious leaves and sweet beets. Love 'em, love 'em, love 'em!